Sign-up for monthly news, tips and specials. Established in 1980 by Don and Teri Lavocat, we have produced top quality annuals, perennials, vegetable plants, shrubs, and trees. In 2015 we opened up our new 19,000 square foot state-of-the-art garden center on County Road, just 1 mile from Transit. 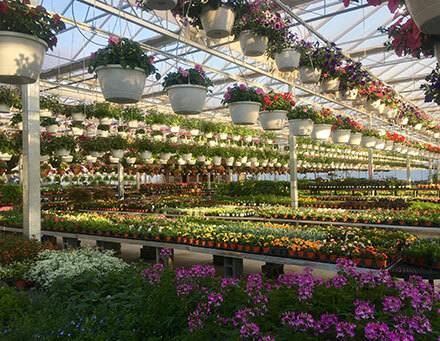 With over 1,000 varieties of plants and hundreds of shrubs and trees to choose from we have become known as the top garden center around for selection and quality. We also carry a full line of plant care items as well as bulk topsoil and mulch that can be delivered. Need professional help with your landscape? Stop in and see us! Tim Horton's coffee and donuts every Sunday for the month of May! What's growing this year? We're always expanding our selection. Visit our Facebook page to see what's happening every week at Lavocat's.